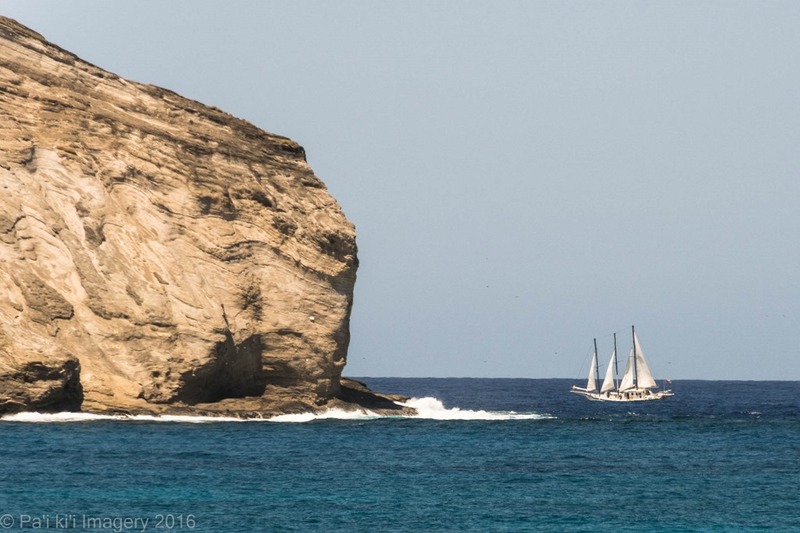 A sailing regatta around the Island of Oahu took place during the recent Memorial Day weekend. I happened to be at Makapuu while the boats came around the point. This interesting sail boat was just about to pass behind Rabbit Island on its way to Kaneohe.